Title: Lead Product Designer, Ayogo Health Inc.
Fun Facts: Once I biked from Portland to San Francisco! Nothing makes me feel quite as free as flying down a stretch of smooth payment, especially along the coast. Hobbies: Cycling, running, punk rocking, learning ukulele, trying new vegan recipes, soaking up sunshine, catching up with friends over tea. Each month we place an Ayogi in the spotlight. This month meet Shauna Gammon. Capturing Shauna in words is more difficult than trying to describe a summer sunset. Her positive attitude, creative ideas and dedication to succeed radiate throughout the office. 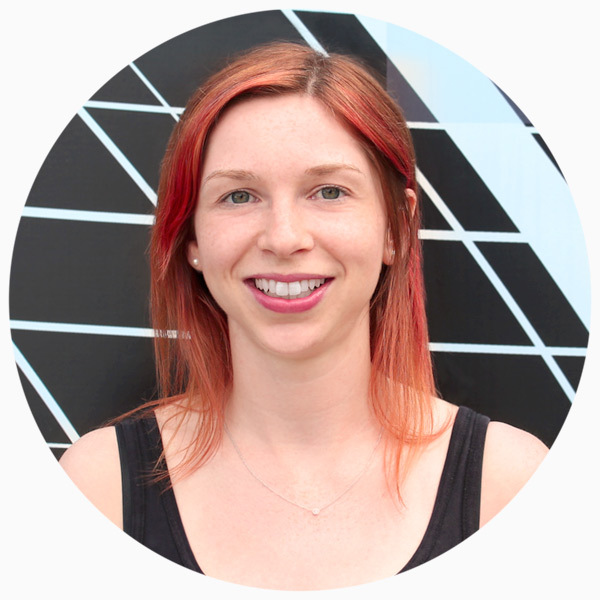 She is our Lead Product Designer, a role that combines her passions for user experience and the psychology of design. While attending a tech career fair in Vancouver, Shauna discovered Ayogo. Ayogo was on the hunt for a new software developer. She was a skilled developer but her interview had a twist ending: Shauna proposed a different job than the one she was interviewing for! With her brains and initiative, we made a smart decision and accepted her onto the Ayogo design team as a user experience designer. Shauna grew into her role, adding subject matter expertise in behavioral economics (mentored by Dan Ariely). Now she’s Lead Product Designer. She works with the Ayogo team to evolve innovative designs that help patients succeed over time. Shauna uncovers the requirements and constraints of each project, working with stakeholders that include customers, health experts and users. This gives her the big picture perspective so she can better prioritize features on projects and provide leadership on Ayogo’s Empower™ product roadmap. Q: In your opinion, what is the biggest challenge in designing for health? One of the biggest challenges is the complexity of patient needs. On the surface it might look like we are trying to help people adopt some simple behaviours, but the barriers hindering patients from making those changes are very complex. We mustn’t ignore them. They include physical impairments, unhealthy environments, social isolation, lack of health education, unhealthy habits, poverty, stress, mental health, and so on. Q: What advice do you have for those who are looking to start their career in design? My career advice is probably the same as what most people offer: follow your passion. Ultimately, healthcare is a field of compassion and we’re here to help people through life’s journey. So how do you want to help people in particular? What are your personal goals and experiences and how do those insights make you better at helping others? Want to work with Shauna? Check out our Career page!